I Brussels sprouts! I love to roast them and then cut them in half and toss them in my salad - weird, I know! Have to admit - burssel sprouts have never appealed to me but roasted, they sound delicious! It always amazes me how roasting brings out sweetness in Brussels Sprouts.. I never tried it before, may be I will give it a try, thanks for sharing the recipe and great informations you submit about it. Hi Tracy Wood, that's not weird. Sounds good to me. Great recipe and blog! 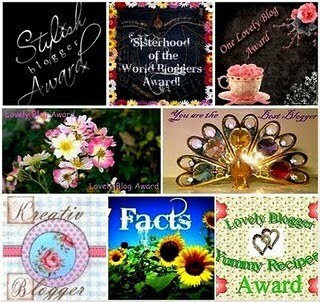 Thanks so much for stopping by and for following my blog. It's so nice to meet you. Congrats on your awards! Hi Krista, your recipe looks wonderful! Great recipe! Thanks for sharing! Hi Marguerite, nice to meet you. Thank you! I had never tried brussel sprouts till this winter. Now they are one of my favorite veggies. This recipe is just how I love them. We love them and eat them all thime. And I am growing some in my garden!!! Brussels Sprouts are high up on my list of favorite veggies. Hated them as a kid though! Love this recipe... They look great! Thanks for sharing :) Congrats on the award! My husband loves spring sprouts so I think this recipe will be perfect for him! Thanks! Love the "side" of history. Brussels Sprouts are a kick to grow too!!! Hi Raina, I'm happy I have convinced you to try brussels sprouts. Try my recipe, I think you will like it. :-) I love roasted veggies, it really brings the flavor out. Thanks for stopping by. Thanks, Melissa! I think if you give my recipe a try, you will be happy you did. Thanks for stopping by. Hi Bruce, doesn't get any better then that, growing your own brussels sprouts. 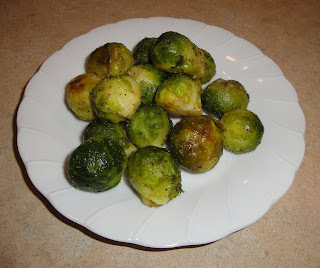 Thanks for the history of Brussel Sprouts, roasting improves any vegetable and I'm sure yours were delicious!